Many Qigong masters have studied Qigong meditation, but few have lived it as has Chunyi Lin. Master Lin studied with a Shao-Lin Temple Buddhist, Master Yao, Master Yian in China's Guangdong Province, the famed Master Zhang in Xichuan Province, and a few other respected masters who do not want their names revealed. As part of his training, Master Lin meditated and practiced various austerities in caves on Mount Qing Cheng and Mount Dinghu. In Chinese culture, cave meditation is recognized as the most powerful way to develop intuition, perseverance, patience, and tranquility. 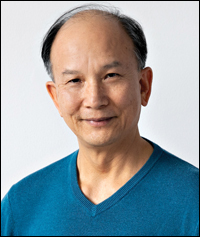 Master Lin has gone so deeply into the meditative, tranquil core of Qigong that he can present complex techniques in simple, easy-to-understand terms. It takes a high level of scientific understanding to make science sound easy. Master Lin has accomplished this with Qigong. Master Lin has had access to a very rare diversity of Qigong Master instructors in China because of his high character and his constant search for ways to improve his own knowledge. Master Lin is also fluent in five Chinese languages, some as different from each other as French is from German. His linguistic expertise allowed him to learn from Qigong practitioners living in remote regions. Chunyi Lin is author of the best-selling book Born A Healer, co-author of the Euphoria! Personal Learning Course, and featured in the Your Healing Power DVD.